Meizu M3 Note runs Android 5.1 Lollipop skinned with the company’s own Flyme OS. Like most smartphones these days, M3 Note has the app drawer integrated with homescreen. The smartphone uses a highly customized version of Android , with everything from app icons to notification panel different from what they are in usual Android phones. The phone doesn’t even have key with the ‘back’ icon, and instead offers the arrow on top left of the screen like iOS devices. The device is pretty much interesting & fun to explore. The best part that attracted me was the inbuilt Root features. This means, the device comes pre-rooted & you just have to enable it by following few steps which are pretty easy to follow unlike any other rooting tutorials. Let’s get started with Rooting Meizu M3 Note (Helio P10 MT6755). 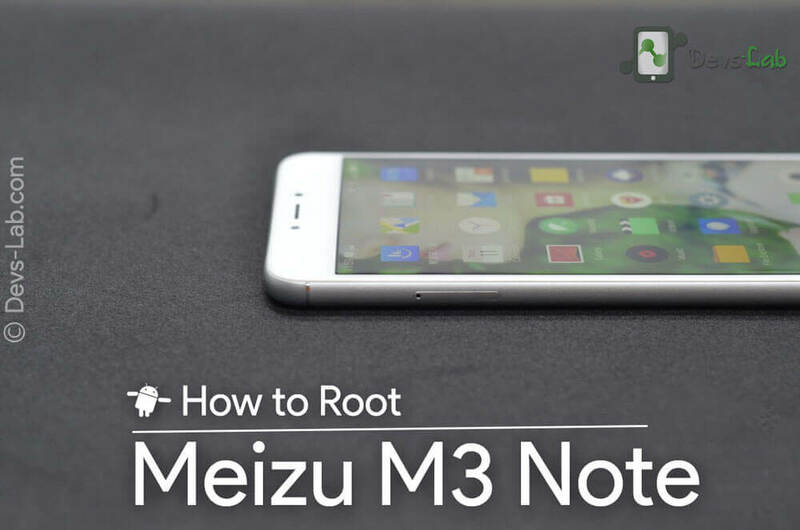 Why you should root your Meizu M3 Note? Note: Unlike any other Smartphone rooting tutorial, this tutorial is completely official as the root feature is provided by the manufacturer itself. Step 1. Go to Settings > Flyme Account. Now click on Login/Register to create or login to your Flyme Account. 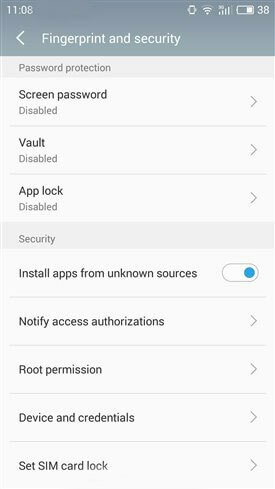 Having an account is compulsory to root your Meizu M3 Note. Step 2. Once you have created a Flyme Account, Go to Settings > Fingerprint and Security. Click on the Root Permissions option. 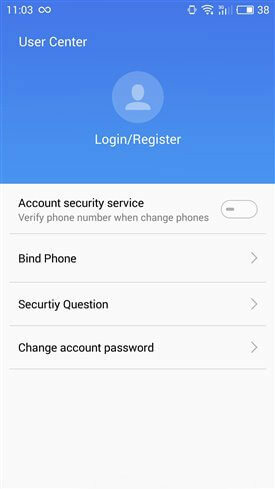 Enter your Flyme account’s password to confirm Rooting your Meizu M3 Note. Step 3. 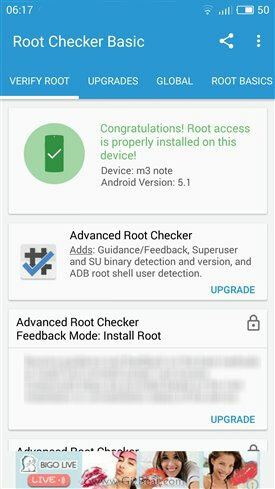 Now to verify Root Access, download Root Checker App from Google Playstore. Launch the App & grant root access if prompted. Now that you have rooted your Meizu M3 Note successfully, you can checkout our list of top 10 Apps for Rooted Android smartphones. If have rooted your device to optimize performance & battery life, you can follow our tutorial to install Xposed framework in Meizu M3 Note & checkout the Top 10 Xposed modules that can help you Customize your device, increase performance & increase battery life.